A Day In The Life: Oh Baby! 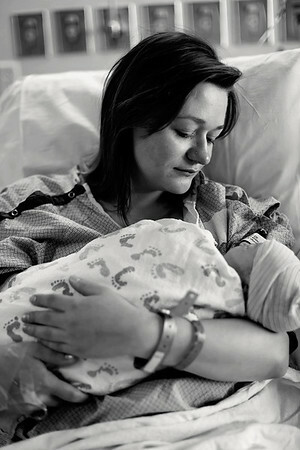 A black and white image of a woman preparing to give birth in a hospital being helped by her mother. 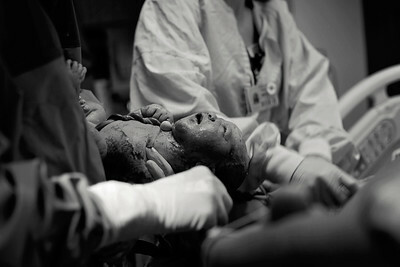 A newborn baby immediately after hospital birth. A nurse measures a newborn baby's head after hospital birth. 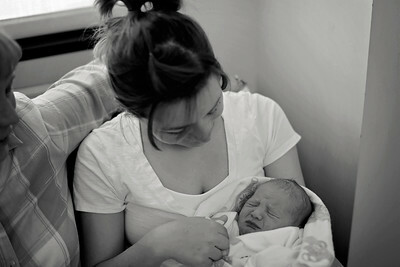 A mother and grandmother hold a newborn baby immediately after hopsital birth. A new mother looks lovingly at her newborn baby. 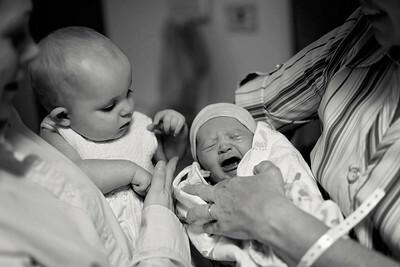 Doctor checks on a newborn infant and her mother after birth. 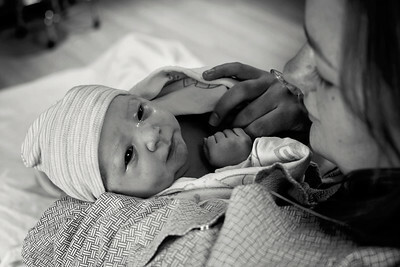 Newborn baby just after birth being held by her mother. A toddler girl is unsure why a newborn baby is crying in her grandmother's arms. Newborn baby is surrounded by family members in the hospital after birth. Newborn baby frowns while being held by her mother. 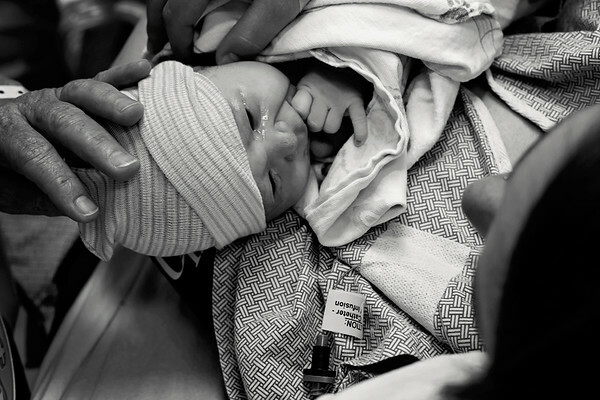 Newborn baby being dressed by her mother and grandmother for the first time before leaving the hospital. 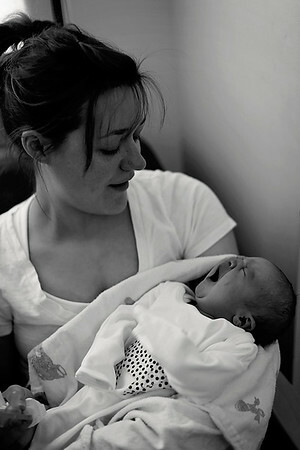 Newborn baby yawns adorably while mother smiles. 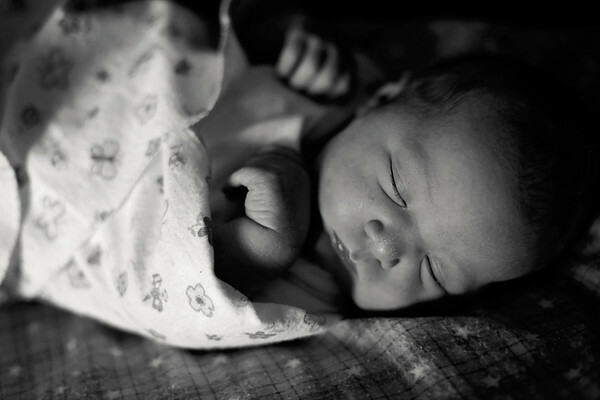 Sleeping newborn baby wrapped in a blanket. 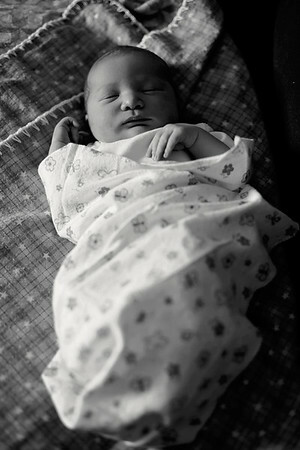 Newborn baby peacefully sleeping, wrapped in a blanket.